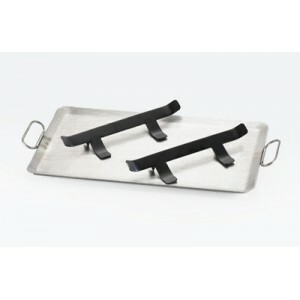 Griddle with Brackets - Cal-Mil Plastic Products Inc. Warm, display, and showcase appetizers and sides tableside with the Cook N Serve 22x 12 griddle plate. We also have a griddle with built in heat guard handles that can be found here.